PAX Arcadians, you seethe with anger at the rest of the world for their dismissive attitude towards our great nation. Not only have the other countries of Earth refused to acknowledge our sovereignty, they continue to marginalize the issues that face our people. We have come together, founded our glorious PAX Arcadia, and it is now time for our voice to be heard! After much debate and posturing, the United Nations has granted PAX Arcadia membership, provided we can appoint a proper Ambassador. 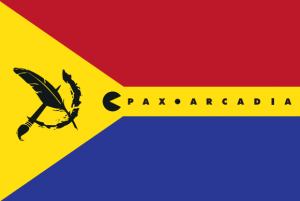 The PAX Arcadian public has demanded that general elections be held in order to appoint the Ambassador. Who will represent our interests on the global stage? Who will personify the Gamer Nation to the world in both speech and action? WITH WHOM DO YOU STAND?